CAPER: To report on the housing activities of the CHHS for the past fiscal year (2017-2018) using federal and state funds as reported in the Consolidated Annual Performance and Evaluation Report (CAPER) and the State Housing Initiatives Partnership (SHIP) Program as reported in the SHIP Annual Report to the Florida Housing Finance Corporation. A copy of the 2017-2018 CAPER is available for review on this page (linked below). A copy may also be requested from the Housing Division of the City’s Department of Community Housing and Human Services. Annual Action Plan: To gather information that may assist in the development of the Annual Action Plan for fiscal year 2019-2020 as required by HUD. Local Housing Assistance Plan (LHAP): To gather comments and information that may assist in the development of the Local Housing Assistance Plan for fiscal years’ 2019-2020, 2020-2021, and 2021-2022 as required by the Florida Housing Finance Corporation. A draft of the proposed LHAP is available for review on this page (linked below). A copy may also be requested from the Housing Division of the City’s Department of Community Housing and Human Services. Emergency Solutions Grant Policy: To gather comments and information on strategies to address homeless needs in Tallahassee. Persons requiring language translation or disability accommodations to attend the public meeting should contact Jean Amison at least 48 hours prior to the scheduled meeting time. Persons requiring services for hearing impairment may also contact the City’s TDD relay at 711 at least 48 hours prior to the scheduled meeting time (excluding weekends and holidays). The City of Tallahassee has prepared a Consolidated Annual Performance and Evaluation Report (CAPER) for submission to the U.S. Department of Housing and Urban Development (HUD). This CAPER reports the uses of HUD funds during the last fiscal year (October 1, 2017 through September 30, 2018) and compares it to the goals set in the Annual Action Plan. The Consolidated Plan is a planning document that identified the City's overall housing and community development needs, and it outlines a strategy to address those needs. The State Housing Initiatives Partnership (SHIP) Program aids government in providing affordable housing. The Local Housing Assistance Plan provides a summary of the housing strategies the City will fund with State Housing Initiatives Partnership (SHIP) money for state fiscal years 2016-2017 through 2018-2019. SHIP funds are used for home purchase, home preservation, disaster assistance, and new construction for ownership and rental. The Code Enforcement Repair Program assists low-income owners of homes that are owner-occupied to eliminate exterior code violations, and to improve and preserve neighborhoods at the same time. What is the Code Enforcement Repair Program? Yard maintenance and debris removal when done in conjunction with repairs to the home. To receive repair work, the applicant must demonstrate ownership of the unit and it must be his or her primary residence. Total household income cannot exceed 80% of the area median income, adjusted for family size, as defined by the United States Department of Housing and Urban Development. Applicants must demonstrate proof of income. Assistance is provided as a zero-interest loan requiring no monthly payments. If the homeowner occupies the home for five years after the repairs are complete, the loan is forgiven. For more information or to initiate the application process, please call The Department of Community Housing & Human Services at 850-891-6566 and ask for information on the Code Enforcement Repair Program or email the Online Housing Program Help Desk. Voicemail and email messages will typically be answered by no later than the close of business the next business day. Make other specific improvements that will harden the home against storm damage. To initiate the application process, click on the link below and, once registered, select Emergency Home Repair Program at the Start New Application screen. For additional information or help completing the online application, please call The Department of Community Housing & Human Services at 850-891-6566 and ask for assistance with the Storm Damage Mitigation Program or email the Online Housing Program Help Desk. Voicemail and email messages will typically be answered by no later than the close of business the next business day. The goal of the Emergency Home Repair Program (EHRP) is to improve the living conditions of low-income homeowners by removing health and safety hazards and/or architectural barriers from their homes. Committed to improving the quality of affordable housing, the City of Tallahassee allocates a substantial portion of its housing budget each year toward improving the stock of owner occupied housing. To assist low-income residents in purchasing a home, the City offers down payment and closing cost assistance to qualified applicants. A loan of up to $7,000 is available for down payment or closing costs towards a new or existing home. 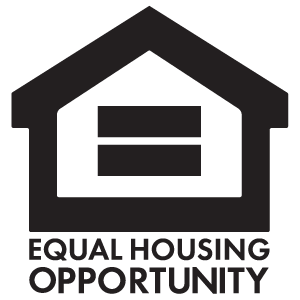 For very low-income residents who qualify to purchase a home, an additional $5,000 loan is available. The Tallahassee Lenders' Consortium (TLC) is a non-profit agency that administers the Purchase Assistance Program. In addition to the Purchase Assistance Program, TLC provides homebuyer education, credit and finance counseling, and assistance in selecting a mortgage lender. It is TLC's mission to provide affordable home ownership options, and serve as a resource to help citizens make the best possible decisions about finding, financing, and purchasing a home. For more information please visit the Tallahassee Lenders' Consortium website or call 850-222-6609. For more information or to obtain an application, please call the City's Housing Division at 850-891-6566. Assistance to existing residential rental property owners is provided through the City's Rental Rehabilitation program. Each year new units are built or rehabilitated for very-low income and low-income households in the City of Tallahassee and made available for purchase to income-eligible buyers. The City works with non-profit organizations called Community Housing Development Organizations (CHDOs) to build or rehabilitate the new units. More new units may also be available through Inclusionary Housing. Please contact the Department of Community Housing & Human Services for more information. Community Housing Development Organizations are non-profit agencies that are qualified to develop affordable housing for the community they serve. Federal money is set-aside for CHDOs each fiscal year. To purchase a housing unit built or rehabilitated by a CHDO, a household must meet all program requirements. There is an income limit and households must qualify for a home mortgage. The best way to get information about the new units being constructed is to contact the City's Housing Division at 850-891-6566. The Tallahassee City Commission passed an ordinance in 2005, requiring new developments in certain areas of the city with 50 housing units or more, to sell 10% of their units at an affordable price. The sales price range is set by the ordinance. Developers are allowed to pay a fee instead of building the units. The money collected will then be used to build future affordable housing units. To qualify for inclusionary housing units, your income must fall between 70% and 100% of area median income. This range is determined by the HUD (U.S. Department of Housing and Urban Development) income guidelines on an annual basis. To find out if you qualify, contact the City's Housing Division at 850-891-6566. Households must qualify for a home mortgage loan. A household that makes less annual income than the range above may still qualify for an inclusionary housing unit if they can secure a sufficient home mortgage loan. Inclusionary housing units are subject to re-sale restrictions. For more information visit <a href="/growth/inclusionary-housing.aspx">Inclusionary Housing Program</a>. You may call the City's Housing Division at 850-891-6566 for information or to request an application by mail. For more information or to initiate the application process, please call the City's Housing Division at 850-891-6566.